In what seemed a serious soul-searching, the Federal Government Monday reappraised the hydra-headed Niger Delta crisis and submitted that negligence on the part of oil companies operating in the area led to severe environment problems like oil spillage, gas flaring, water and air pollution, which in turn engendered the current youth restiveness in the region. 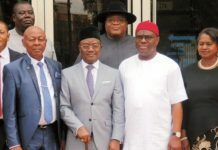 The government, through top federal officials, including Niger Delta Affairs Minister, Ufot Ekaette, the Minister of State, Godsday Orubebe and the ministry’s Permanent Secretary, Y.A. Abdullahi also accused the oil firms in the Niger Delta of falling short of their Corporate Social Responsibilities (CSR) to their host communities, especially in the area of protecting the people from the hazards posed to them by the companies’ crude exploration activities. 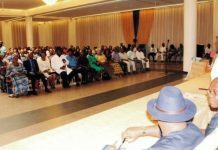 The officials, who spoke at a consultative meeting on the region’s environment- related challenges tagged : “Moving the Niger Delta Environmental Agenda Forward,” disclosed the Federal Government’s intention to move beyond mere talkfest on the Niger Delta environment issues to tackling them head-on. 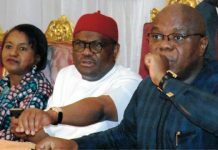 Specifically, Dafinone, who spoke Monday in Lagos at the launch of a biographical work titled Dafinone: An Uncommon Life written in his honour by Dr. Udu Yakubu as he turned 82, said the Federal Government’s failure to effectively act on the Willink Commission of 1958 made the Niger Delta problem to fester, which haunts the nation to this day. He stressed that resorting to military action in the region would not solve the problem. 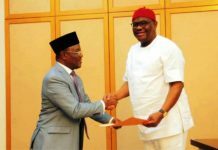 He said this approach had bogged down Nigeria, stressing that the nation needed to restructure in line with true federalism to attain its full potential. 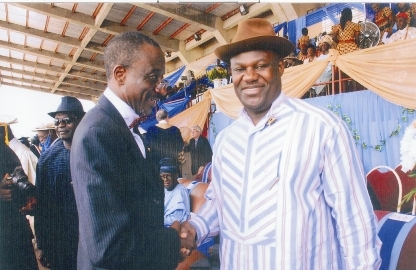 Quoting copiously from various authorities ranging from United States’ President Barack Obama to the poet Lord Alfred Byron and economist Adam Smith, Senator Dafinone said the only enduring legacy the current crop of Nigerian leaders could leave for generations yet unborn was the enthronement of good governance, where the popular will of the people prevailed and where charity and brotherhood were held in esteem. The federal officials on their part said the violence in the Niger Delta region could be traced to the people’s vexation over environment degradation and neglect. 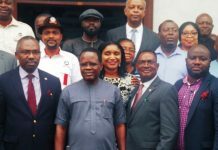 Ekaette said the consultative meeting was convened so that all stakeholders in the Niger Delta could proffer ways of checking environmental degradation in the region. His words: “Over the years, there has been a near total neglect or failure to diligently integrate environmental concerns into oil exploration and production activities by the oil companies. This region is heavily polluted due to oil spillage, sabotage, pipeline vandalisation and emission from gas flaring. “It is not enough to sign Memorandum of Understanding (MoU) especially with the people who do not understand the meaning of MoU. Sometimes, the terms of the MoU are not kept and at the other times, the terms of the MoU are reversed. “Oil waste pits and hazardous waste dumpsites abound in the region while untreated industrial effluents, solid and municipal wastes are discharged with little concern about the environmental impacts. 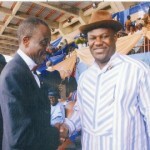 Orubebe said the current difficulties in the Niger Delta area was as a result of the “inactions” of its past leaders to chart a course for its environmental development. He said it was high time the Ministry networked with relevant stakeholders to solve the problems. His words: “It is worthy of note that oil, which is the major source of revenue for Nigeria, is one of the primary roots of the insecurity in the region because of its attendant negative impacts on the environment and natural resources. This is as a result of the negligence of the oil companies in addressing issues of environmental pollution in oil production. 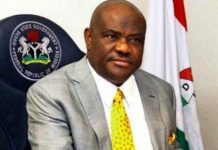 “As a result, today, the Niger Delta is a place of frustrated expectations and deep-rooted mistrust…many years of neglect and conflict have fostered a siege mentality, especially among youths who feel they are condemned to a future without hope and see violence as a strategy to escape deprivation.